Tampering with the site, misrepresenting the identity of a user, using buying agents, or conducting fraudulent activities on the site is prohibited. By using the 212areacode.com Web site, you expressly agree that use of the 212areacode.com Web site is at your sole risk. The 212areacode.com Web site is provided on an “AS IS” and “as available” basis. Neither 212areacode.com nor its parent company, affiliates, subsidiaries or designees nor each of their respective officers, directors, employees, agents, third-party content providers, designers, contractors, distributors, merchants, sponsors, licensors or the like (collectively, “Associates”) warrant that use of the 212areacode.com Web site will be uninterrupted or error-free. Neither 212areacode.com nor its Associates warrant the accuracy, integrity or completeness of the content provided on the 212areacode.com Web site or the products or services offered for sale on the 212areacode.com Web site. Further, 212areacode.com makes no representation that content provided on the 212areacode.com Web site is applicable to, or appropriate for use in, locations outside of the United States. 212areacode.com and its Associates specifically disclaim all warranties, whether expressed or implied, including but not limited to warranties of title, merchantability, or fitness for a particular purpose. No oral advice or written information given by 212areacode.com or its Associates shall create a warranty. Some states do not allow the exclusion or limitation of certain warranties, so the above limitation or exclusion may not apply to you. Under no circumstances shall 212areacode.com or its Associates be liable for any direct, indirect, incidental, special or consequential damages that result from your use of or inability to use the 212areacode.com Web site, including but not limited to reliance by you on any information obtained from the 212areacode.com Web site that results in mistakes, omissions, interruptions, deletion or corruption of files, viruses, delays in operation or transmission, or any failure of performance. The foregoing Limitation of Liability shall apply in any action, whether in contract, tort or any other claim, even if an authorized representative of 212areacode.com has been advised of or should have knowledge of the possibility of such damages. User hereby acknowledges that this paragraph shall apply to all content, merchandise, and services available through the 212areacode.com Web site. Some states do not allow the exclusion or limitation of incidental or consequential damages, so the above limitation or exclusion may not apply to you. When you visit the 212areacode.com Web site or send e-mails to us, you consent to receive communications from us electronically. We will communicate with you by e-mail or by posting notices on our site. You agree that all agreements, notices, disclosures, and other communications we provide you electronically satisfy and legal requirement that such communication be in writing. All content included on this site, such as text, graphics, logos, button icons, images, audio, data compilations, and software, is the property of 212areacode.com or its content suppliers and protected by United States and international copyright laws. The compilation of all content on this site is the exclusive property of 212areacode.com and protected by U.S. and international copyright laws. All software used on this site is the property of 212areacode.com or its software suppliers and protected by United States and international copyright laws. 212areacode.com grants you a limited license to access and make personal use of this site and not to download (other than page caching) or modify it, or any portion of it, except with express written consent of 212areacode.com. This license does not include any resale or commercial use of this site or its contents; any collection and use of any product listings, descriptions, or prices; any derivative use of this site or its contents; any downloading or copying of account information for the benefit of another merchant; or any use of data mining, robots, or similar data gathering and extraction tools. This site or any portion of this site may not be reproduced, duplicated, copied, sold, resold, visited, or otherwise exploited for any commercial purpose without express written consent of 212areacode.com. You may not frame or utilize framing techniques to enclose any trademark, logo, or other proprietary information (including images, text, page layout, or form) of 212areacode.com without express written consent. You may not use any meta tags or any other “hidden text” utilizing 212areacode.com’ name or trademarks without the express written consent of 212areacode.com. Any unauthorized use terminates the permission or license granted by 212areacode.com. You are granted a limited, revocable, and nonexclusive right to create a hyperlink to the home page of 212areacode.com so long as the link does not portray 212areacode.com, or its products or services in a false, misleading, derogatory, or otherwise offensive matter. 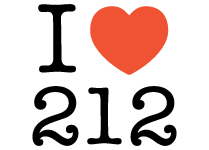 You may not use any 212areacode.com logo or other proprietary graphic or trademark as part of the link without express written permission. Prices and availability of products and services are subject to change without notice. Errors will be corrected where discovered, and 212areacode.com reserves the right to revoke any stated offer and to correct any errors, inaccuracies or omissions including after an order has been submitted and whether or not the order has been confirmed and your credit card charged. If your credit card has already been charged for the purchase and your order is cancelled, 212areacode.com will issue a credit to your credit card account in the amount of the charge. Individual bank policies will dictate when this amount is credited to your account. If you are not fully satisfied with your purchase, you may return it in accordance with 212areacode.com’ Return Policy. Despite our best efforts, a small number of the items in our catalog may be mispriced. If an item’s correct price is higher than our stated price, we will, at our discretion, either contact you for instructions before confirming or cancel your order and notify you of such cancellation. “Unlimited” Calling plans are subject to a fair usage limit of 3,000 minutes per month. Once this limit is met, calls will not pass through. If you find this is insufficient, you may port the umber to other provider, though we encourage you to check their ‘Fair use policy’ to make sure it matches your needs. 212areacode.com does not collect sales tax as the products sold are intangible, digital services in accordance with U.S. law for transaction in our 212areacode.com Web site. You may pay for your orders at 212areacode.com with all major credit cards issued in the United States of America. Currently, we accept Visa®, MasterCard®, American Express® and Discover® Card via PayPal. Generally, credit and debit card are charged immediately. If you ordered a special request phone number, you will be charged the deposit fee at the time of your order and the balance once you accept and confirm we have located the phone number you requested. Digital coupons are not redeemable toward the purchase of 212areacode.com gift cards or gift certificates. Promotional codes unlike credit or debit cards, Promotional Codes used on Digital Coupons are debited at the time an order is placed. Digital Coupons will automatically be redeemed to purchase totals, up to the total purchase amount. Digital Coupons must be used prior to their noted expiration date and within a single transaction. Coupon cannot be replaced if it is lost, stolen, deleted, or if you cancel or return your purchase. In the event of a reduction in price below the coupon value, the excess value of the coupon will not be refunded. Gift cards or gift certificates, unlike credit or debit cards, are debited at the time an order is placed. Gift cards or gift certificates will automatically be redeemed to purchase totals, up to the total purchase amount. In the event the total purchase amount exceeds the value of the gift card or gift certificate, you will be required to use another gift card, or gift certificate, or a credit or debit card to pay the difference. Any amount charged to a credit or debit card will be treated as set forth above. In the event of a partial return of an order using both a gift card or gift certificate and a credit or debit card, returned amounts shall first be credited to the credit or debit card, and any remaining balance will be credited back to the gift card or gift certificate. See our Returns section for more details about returns. After you place an order using our shopping cart, we will check the information you give us for validity, by verifying your method of payment or billing address. We reserve the right to reject any order you place with us, and/or to limit quantities on any order, without giving any reason. If we reject your order, we will attempt to notify you using the e-mail address you have given us with the order. Your credit or debit card will normally not be charged if we reject an order, but we will process a refund if the charge has been made against your card. Your receipt of an electronic or other form of order confirmation does not signify our acceptance of your order, nor does it constitute confirmation of our offer to sell. The 212areacode.com Web site reserves the right at any time after receipt of your order to accept or decline your order for any reason. 212areacode.com may, at its own discretion, limit or cancel quantities purchased per person, per household or per order. 212areacode.com also reserves the right to reject any order you place with us. These restrictions may include orders placed by the same 212areacode.com Web site account, the same credit card, and orders that use the same billing address. In the event we make a change to an order, we will attempt to notify you by contacting the e-mail and/or billing address provided at the time the order was made. 212areacode.com reserves the right to limit or prohibit sales to dealers. All orders made through the 212areacode.com Web site are subject to 212areacode.com cancellation policy. For a complete explanation of the cancellation policy, please see our Cancellation Policy in our Policies section. All phone number sales made through the 212areacode.com Web site are subject to 212areacode.com number porting policy. For a complete explanation of the number porting policy, please see our Number Porting Policy in our Policies section. All sales made through the 212areacode.com Web site are subject to 212areacode.com refund policy. For a complete explanation of the refund policy, please see our Refunds Policy in our Policies section. All special requests made through the 212areacode.com Web site are subject to 212areacode.com’ special request policy. For a complete explanation of the special request policy, please see our Special Request Policy in our Policies section. By visiting 212areacode.com Web site, you agree that the laws of the state of New York, without regard to principles of conflict of laws, will govern these Conditions of Use and any dispute of any sort that might arise between you and 212areacode.com. Any dispute relating in any way to your visit to 212areacode.com Web Site or to products or services sold or distributed by 212areacode.com in which the aggregate total claim for relief sought on behalf of one or more parties exceeds $5,000 shall be adjudicated in any state or federal court in Kings County, New York, and you consent to exclusive jurisdiction and venue in such courts. 212areacode.com may, in its sole discretion, terminate your account or your use of the 212areacode.com Web site at any time. You are personally liable for any orders that you place or charges that you incur prior to termination. 212areacode.com reserves the right to change, suspend, or discontinue all or any aspects of the 212areacode.com Web site at any time without prior notice.